Houses on Garnett Place. Evanston resident Audrey Steele received an eviction notice from Cook County. Evanston resident Audrey Steele’s family has lived in her home for three generations. But after the death of her husband, she received an eviction notice — though federal law protects her rights as a spouse of the deceased. Evanston Collective founder and president Bobby Burns said Steele was a victim of “predatory reverse mortgage lending practices.” Her husband had taken out a reverse mortgage, allowing him to use their home’s value to pay bills and expenses, but when he died, Cook County officials sent Steele an eviction notice to repay her husband’s debts. Steele’s plight caught the attention of a local organization, Dear Evanston. There was a rally at Steele’s home in the 5th ward on Saturday to protest her impending eviction. 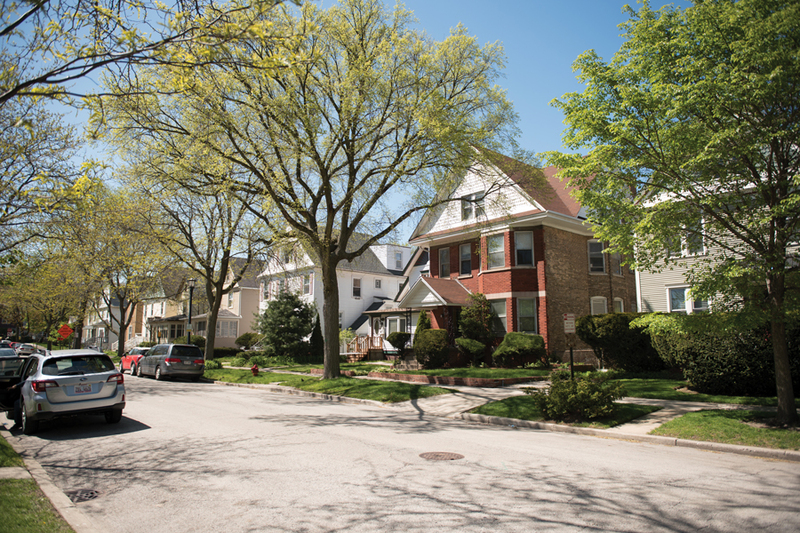 In a video on Dear Evanston’s Facebook page, Steele said she is looking for a new place to live, but she cannot afford a house and her health prevents her from renting an apartment. In 2013, AARP sued the Department of Housing and Urban Development to protect a spouse’s right to live in a home after his or her death. Though AARP won the case in an appellate court, many lenders choose to ignore the decision, according Christopher Kruger from law firm Kruger and Gruber. Burns said predatory lenders prey on the elderly, people of color and those in poverty. He added that in 2006, Evanston had the greatest high-cost lending disparity by race out of the 52 Chicago suburbs. Among black homeowners, 48 percent received loans considered high cost or subprime, compared to 10 percent of white homeowners, Burns said. Burns said Steele’s story is a part of a greater conversation in Evanston about affordable housing. He said the Inclusionary Housing Ordinance could go a lot further to create more units for low-income residents, and the city should look into other uses for the affordable housing fund, such as intervening in situations like Steele’s. A previous version of this article incorrectly identified who was responsible for planning Saturday’s rally. Dear Evanston did not organize the event. The Daily regrets the error.